The Auburn Botanic Gardens at 99 Chiswick Road, Auburn was listed on the National Trust Register in September, 2015. The Auburn Botanic Gardens has social significance to the people of Auburn City and visitors from around Australia and overseas who visit the Gardens and attend family events such as weddings or enjoy the festivals that are regularly held in the Gardens. The Gardens has aesthetic significance for the range of environments presented such as riverside ecosystem, Australian rainforest and native garden, rose garden, fauna reserve and the Ryoan-ji style Japanese Garden. The Gardens has historic significance through its origins in the Cumberland Planning Scheme (1946–1951) which set aside the area along the banks of the Duck River for recreation and the 1972–1975 pioneering federal government recognition of local government through direct funding and Auburn Council receiving regional development funding in 1974 and 1975–76 to develop the gardens. The Gardens is significant in that its original concept and design is credited to Council’s former Engineer and Town Planner Mr Eric Black rather than a coercial landscape architectural firm. 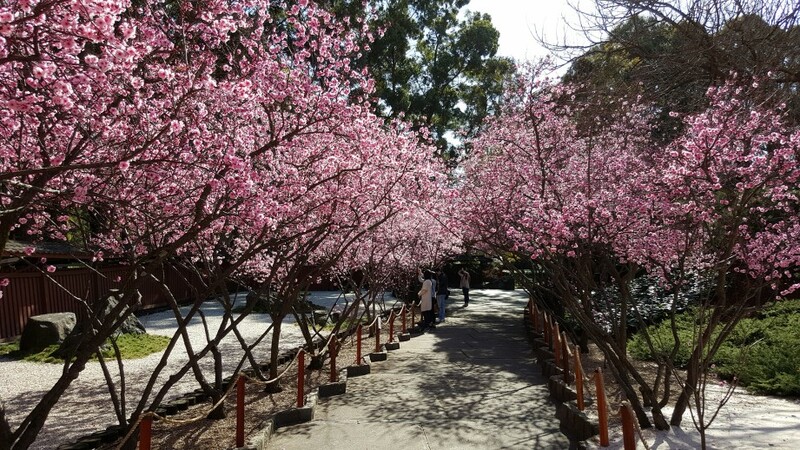 The Auburn Botanic Gardens is 9.2 hectares in size and attracts thousands of visitors each year, including a significant number from outside Australia. The central formal area – with reflection pool, pergola and sunken rose garden – has flowers and blossoms through the year. The topography of the site, which slopes gently towards the Duck River, has been altered to create interesting perspectives and microclimates. Three habitats provide an experience of ‘Australia’ in the city – the woodlands theatre, the native garden and billabong, and the Australian rainforest. An amphitheatre is located in the centre of the Gardens and consists of a covered outdoor stage area, dressing rooms, public toilets and a large sloping grassed area for audiences. The amphitheatre is used for a variety of purposes including stage productions, concerts, community events and social functions. The Native and Rainforest Garden is located in the western part of the Auburn Botanic Gardens near the fauna reserve and amphitheatre. It is a popular setting for organised events including wedding and civil ceremonies and wedding photography. The Native and Rainforest Garden has numerous native plants and trees around a shady billabong and is bordered by scrub woodland plantings and grassed areas. The area’s wildlife includes Cape Barren Geese, Dusky Moorhens, peacocks and Australian Brush turkeys. The thick canopy of foliage over the rainforest and native garden produces a moist, deep littered leaf mould groundcover. The section is also utilised for Australian themed wedding or civil ceremony and wedding photography. The Fauna Reserve is located adjacent to the Avenue of Remembrance and the Native and Rainforest Garden. It was opened in 1994 and is home to flora and fauna that was indigenous to the Auburn area before it was developed. Animals in the Fauna Reserve include Eastern Grey Kangaroos, Red-necked Wallabies, Swamp Wallabies, Emus and Common Wombat. The Aviary was officially opened in 1988 and was supported as a Bicentennial Project by the Commonwealth Government. It is located opposite the entrance to the Botanic Gardens and contains a unique range of birds from Australia and the Asia Pacific region. The Aviary is divided into four separate themed areas. The Asian Aviary contains birds native to the Asia Pacific Region. The Rainforest Aviary displays birds from tropical regions of New South Wales and Queensland. The birds in the Outback Aviary can be found in Central and Northern Australia. The Woodlands Aviary has birds which are found in forested areas of Australia. There are a number of animals that wander freely around the Botanic Gardens and the Fauna Reserve. These include Cape Barren Geese, Domestic Geese and Indian Peafowl (Peacocks). During the spring and summer months the Peacocks display their beautiful tail feathers to impress the females (Peahens). The waterways in the Auburn Botanic Gardens attract a number of water birds native to the area such as Dusky Moorhen, Pied and Little Cormorant, Wood Duck, Pacific Black Duck, Chestnut Teal and White-faced Heron. Many native birds reside in the different sections of Auburn Botanic Gardens including Black-faced Cuckoo Shrike, Magpie-lark, Pied Butcherbird, Fairy Wren, Figbird and Olive-backed Oriole. The Scented Garden is located in the central part of the Auburn Botanic Gardens and is adjacent to the Avenue of Remembrance. It is a very popular setting for organised events including wedding and civil ceremonies and wedding photography. It was designed so that visitors would be treated to floral aromas such as Frangipani, Lavender and Sage. Key features of the Scented Garden include the Undercover Wedding Pavilion and the Reflection Pool. The Undercover Wedding Pavilion is a tranquil setting amongst flower beds, an avenue of Liquid Amber Trees and a hedge garden. 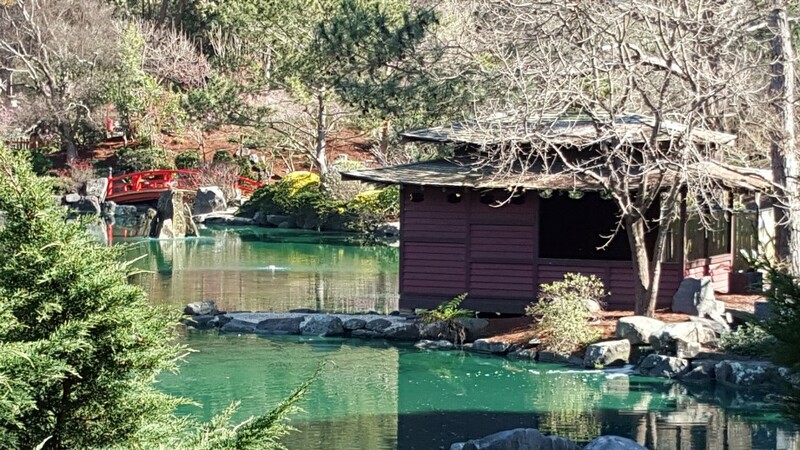 The Reflection Pool branches off from the Undercover Wedding Pavilion and is lined on both sides by pine trees. The pine tree at the end of the Reflection Pool is a progeny of the Stone Pine at the Lone Pine Cemetery in Gallipoli. The Reflection Pool is at its most beautiful in autumn. The Sunken Rose Garden is located in the centre of the Auburn Botanic Gardens and is adjacent to the Scented Garden. The Sunken Rose Garden features ceremonial arches and David Austin Roses with a variety of colours and fragrances. The Sunken Rose Garden is at its most beautiful between October and January. 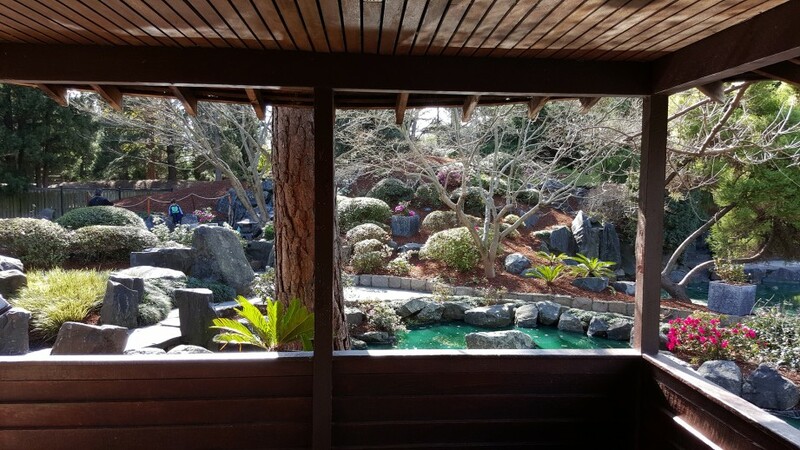 The Japanese Garden is one of the most popular sections in the Auburn Botanic Gardens and is visited by thousands of people each year. The Japanese Garden is at its most beautiful during the annual Cherry Blossom Festival between mid – August and early September. Cherry blossom is highly symbolic in Japanese culture representing beauty and the fragility of life. The Auburn Botanic Gardens was established in 1977. Local residents are very proud of 'their' gardens, which were designed by Eric Black, chief engineer of Auburn Municipal Council from 1949 to 1979. 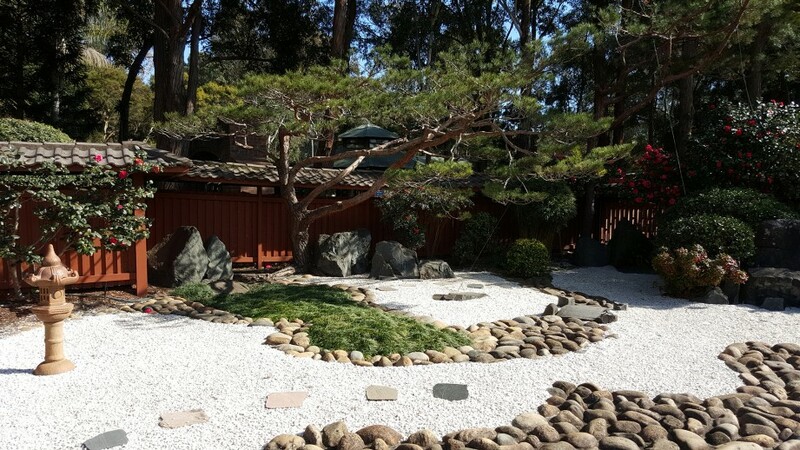 Community groups have added a bonsai garden and an aviary to the basic plan. The native fauna reserve, set up in consultation with Taronga Zoo, is a later addition by the council’s parks and gardens department. The gardens owe their origin to the Cumberland Planning Scheme (1946–1951) which set aside the area along the banks of the Duck River for recreation. Both before and after the scheme, the council dumped rubbish and sewage along the banks and in brick and tile clay-pits for many years. In July 1968, Black presented a detailed report to the council on proposing a mixture of sporting grounds and intensive cultivation of the Duck River parklands. Black envisaged a series of gardens representing national styles from around the world. This vision was later reduced, though some elements survived, including the Japanese gardens and lake, the formal gardens and reflection pool, and the different Australian habitats. The next crucial step was the Whitlam Government (1972–1975) pioneering federal government recognition of local government through direct funding. Through the regional development program, Auburn Council received funding in 1974 and 1975–76 to develop the gardens. The original concept and design of the Auburn Botanic Gardens is credited to Council’s former Engineer and Town Planner Mr Eric Black. The Gardens were officially opened on the 11 September 1977 by His Excellency Sir Roden Cutler VC. The Avenue of Remembrance was opened on the 12th September 1987 by the Hon Michael Cleary. The Aviary was added and officially opened on 5th December 1988 by the Hon Gary West. The Aviary was supported as a Bicentennial Project by the Commonwealth Government. A Fauna Reserve was opened in 1994 and the equal access playground, a project supported by the Commonwealth Government, was opened by the Member for Reid, Laurie Ferguson MP on 28 May 2001. The gardens have matured since their opening, to the extent that some areas have had to be replanted after maturing trees and plants came to the end of their life cycles. The New South Wales National Parks and Wildlife Branch of the Department of Environment and Climate Change has identified the gardens as part of the recovery plan for certain environments and species, including Cooks River clay plain scrub forest, Acacia pubescens (downy wattle) and Wahlenbergia multicaulis (Tadgell’s bluebell). The Gardens host two important festivals each year, the Autumn Colours Festival in late May and the Cherry Blossom Festival in mid to late August.